I make _____________ for _____________ because _____________. I need help completing this sentence. I make many things. I write blog posts, I create YouTube videos, I build educational courses, I co-host a podcast, I build the post production community, I create products that help editors and more. If I were to boil it down into one thing I would say I make knowledge about video editing (as a career and it’s software) easier to consume and understand. Let’s take this and go a step deeper. There’s so much I want to make and create but if for this very moment I’m picking one thing, let’s say the thing I’m best at, is that I make learning about video editing software (mainly Avid Media Composer and Adobe After Effects) better and simpler. 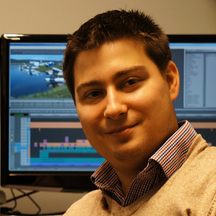 I make learning about video editing software better and simpler for _____________ because _____________. Who do I make it for? This one is easy right?! I make it for video editors! Yes. And no. I need to go deeper. I need to define who that person is. Who is that person? Who are you reading this? You are an editor. You are in the industry or trying desperately to become part of it. Regardless you want to become better at what you do. You want to become more knowledgeable at your craft and quicker at it. You want to make cool videos. You want to learn so much but don’t have the time. Okay, let’s go one step deeper. Who do I make it for? I make it for busy video editors who want to improve their skills. I make learning about video editing software better and simpler for busy video editors who want to improve their skills because _____________. Why do I make what I make? Video editing is difficult. iMovie and YouTube make it sound so easy. Drag and drop. Add heart wipe. Export straight to YouTube. Boom. Done. Oh. It’s not quite like that? Really? You have to label media properly, import, label clips, more labeling of files, create a PSD with an alpha, realize it’s the wrong blue, go back to Photoshop, re-export, re-import, yada yada yada yada and you’re only 1/10,000th of the way done. Video editing is difficult. The software doesn’t always make sense if you don’t know what it is thinking. I want you to understand what Media Composer is doing when it is creating an MXF file. If you don’t get that then you don’t understand media management and if you don’t understand media management you won’t have a job for long. Being skilled at your NLE makes you happier. It makes you better at what you do. And what you can do with your video editing abilities can change the world. What you can do is create beautiful art. Okay, Josh. Go deeper. Why do I make what I make? I make what I make because being skilled in your editing software enables you to create beautiful art. Do I like that? Yeah? Yeah. Let’s put it all together and see where we are at. What do I make? I make learning about video editing software better and simpler. Who do I make it for? I make it for busy video editors who want to improve their skills. Why do I make what I make? I make what I make because being skilled in your editing software enables you to create beautiful art. When I put it all together what do we get? 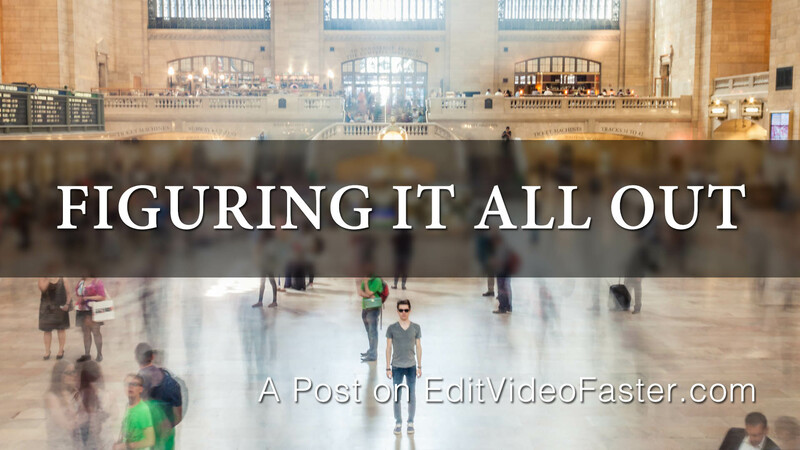 I make learning about video editing software better and simpler for busy video editors who want to improve their skills because being skilled in your editing software enables you to create beautiful art. There we go. Was that that difficult? Do you fall under this umbrella? Are you a busy video editor that wants to improve your skills so you can create beautiful art? And you want me to help you? If so, let me know. And let me know what you’re struggling with and looking for! I’ll see you soon with a new tutorial (because you’re a busy video editor who wants to improve your skills so you can create beautiful art)!